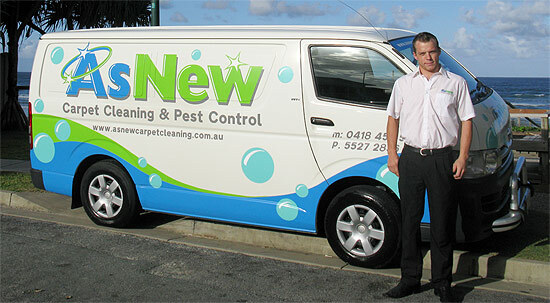 As New are an established professional carpet cleaning company who have operated on the Gold Coast for over 10 years. By also offering pest control, many of our regular customers are enjoying the risk free convenience that our 'one stop shop' has to offer. From homes to high-rises and commercial, with just one phone call you can be assured your property will be cleaner, smell fresher and be more hygienic when we are finished with it! The As New Team have the experience and high quality equipment to get the job done right. Our staff are knowledgeable, courteous, professional & have high quality standards for your peace of mind and ours. Contact us today & experience the difference!